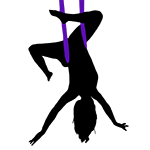 Men are able to schedule private lessons, parties or attend any of our co-ed classes. We currently schedule co-ed classes on Saturday mornings in our Appleton location. Check back after September 6th for Green Bay class options. For all of our co-ed classes there are no prerequisites! No prior experience is needed! If there is enough male interest (a minimum of 5) we would LOVE to offer a male-only class on any of our apparatus! This class is Co-Ed, Men and Women will use an Aerial Hammock to gain strength and flexibility. With elements of “Aerial Yoga” and “TRX” this is a fantastic workout that allows you to improve balance and increase muscle tone. Learn tricks and keep track of your progress on a card. Get STRONG using the Pole! This conditioning class is co-ed and is open to ALL LEVELS, including drop-ins. Sweat through a workout that focuses on the main pole grips and building incredible strength towards your Flags, Iron X and other “power pole” tricks. This techniques class will help you building functional strength on and off the pole. This class is Co-Ed, men and women will use an Aerial Hoop to learn basic mounts, transitions, spins and lots of gorgeous poses. Improve your flexibility, balance, and upper body strength while spinning in the air. Fill out a card with all moves you’re learning to track your progress. 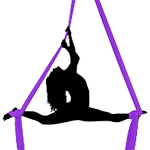 This class is Co-Ed, men and women learn climbs, locks, holds, multiple ways to enter straddle back, leg hangs and lots of cool tricks on Aerial Silks. Increase your grip and upper body strength while defying gravity. Fill out a card with all moves you’re learning to track your progress.